Alain Deneault is a critic of the Canadian mining industry. Here, he talks to Richard Swift about how destructive mining is. Alain Deneault is a social scientist from Quebec. He is a critic of the Canadian mining industry. The large Canadian mining company, Barrick Gold, took him to court about his book Noir Canada. In this interview, he tells the story of Canada’s terrible story of abuse of human and environmental rights in mining. How did you get interested in goldmining? When I returned to Canada after studying in France, I started to work on mining. I found many reports, documents, books and documentaries about the problems with Canadian companies, especially in the mining sector in Africa. With some other people, I started to bring together information about Canadian companies in Africa, Latin America, Asia, Eastern Europe and Greece. We saw many problems: bribery, a huge amount of pollution, corruption, threats to public health, tax evasion, and the military support of dictators or rebels who wanted to control areas with gold. I was shocked to see that academics were researching companies they were afraid to say the names of. In the mid-2000s, I summarized all the information in a book called Noir Canada (with Delphine Abadie and William Sacher who helped me do the research). What is the role for gold in the world now - culturally and economically? I tried to understand why 75 per cent of the world’s mining industries are registered in Canada. Many of these are goldmining companies. Most mining companies have the same economic and social problems but with gold there are two particular problems. Mining gold in Africa is terrible because it uses a lot of water. And in many countries water is more important than gold for people. But huge companies make agreements, often through corruption. They then use huge amounts of water and cyanide and this affects the natural resources that are so important for the daily living of populations. This is a higher risk of pollution than other kinds of development. The second problem is that we do not need goldmining. Humans don’t need gold. We use gold for jewels and for institutions that work in the financial markets because they want to have reserves in case of an economic crisis. The gold industry shows how useless a lot of mining is. When we talk about the mining industry, we do not think about other questions like our lifestyle, overconsumption, and how we could recycle what has already been mined and used in industrial processes. If we only need gold for industry and dentistry then we will have more than enough. We cannot justify the other purposes because the risks of goldmining are too great. There is beginning to be a movement of degrowth around the world. Do you think that gold could be a important focus for looking at degrowth? The main idea of degrowth is to end the idea that we can see how healthy a society is from how much it can grow eg. by Gross Domestic Product (GDP). When we do this, we are destroying the basis of our societies and economies. If we look at gold carefully, it could be the symbol of a system that is always trying to get more and more. By doing this, it is destroying what we need to continue to live in our ecosystem. Can you talk about what happened with your book Noir Canada and the mining company Barrick Gold? I published my book in the spring of 2008. My publisher Ecosocieté advertised it on Barrick Gold’s website. Barrick Gold did not even read the book, but they sent us a legal letter saying that if we published the book and they thought there was any defamation they would sue us. We talked about it and decided to publish the book. So the company sued us for $6 million. The book was mainly about the role of Canadian corporations in Africa. We asked for a public enquiry because we felt that these corporations should not be above the law. Barrick’s lawsuit wasn’t enough to stop us but then the Banco Corporation sued us for $5million in Ontario. We had to fight in two legal systems with two different teams of lawyers. We discovered how unfair the legal system was in our country. No average citizens from the middle class or even the upper middle class can defend themselves in a courtroom because it costs so much. Everyone in the country pays for the legal system in taxes, but only millionaires and billionaires can use it. This is because a lawyer doesn’t represent a citizen with rights but a client with money. If someone cannot pay, they can never get a legal defence based on the specialized language and knowledge of the court system. You have to pay so much for lawyers. People have the right to defend themselves in theory, but they do not have the money. So we had difficulties for three and a half years. And we sold several thousand copies of Noir Canada around the world. The Quebec government brought in a new law to support people like us who were facing this kind of lawsuit. We had advice to agree out of court, but there was still the problem of unequal money. We finally decided to stop more sales of the book and Barrick Gold stopped its lawsuit. Afterwards, we published Imperial Canada Inc with the same information, but presented in other ways. We didn’t win or lose on a legal level but we certainly won on a political level. I think that our point of view is part of the social consciousness. Many people now think of abuse and pollution when people talk about Canadian mining companies. In goldmining there have always been problems between the mining company and local miners. Sometimes there was local mining before the commercial mine, sometimes afterwards. So local people believe they have as much right to mine this gold as foreign companies do. 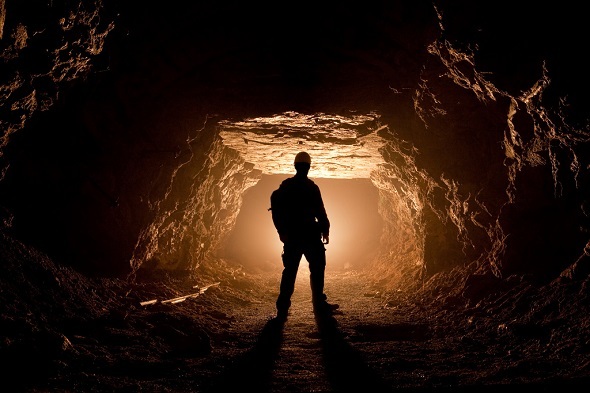 In South Africa this is a very big problem – they lose about 10 per cent of the gold to ‘ghost miners’ [they steal gold from the mine]. What do you think about this? It is not true that we can only mine ore on a very big scale or by very traditional methods. There is something between these. The gold that is easy to mine has now finished. We are now getting ore using technologies that causes a lot of pollution. Western markets ask a lot from the earth and now India, China and Brazil all want the same. People want more than we can get from the mines we have now. Some mines now only find one gram of gold in a ton of waste. People were not interested in mines like this thirty or forty years ago. There is no political organisation that can control this process. So everyone uses the methods and the technology of corporations like Barrick Gold and Rio Tinto. We could say that in many contexts it makes no sense to be an independent miner – without equipment, it’s very dangerous. But we should think of ways they can continue to work that are safer and fairer. So they need to use some technology. But if a company brings technologies to a country and the technology controls the people, this will help nobody. We need to think about this when we talk about what we mean by foreign aid. NOW READ THE ORIGINAL:http://newint.org/features/web-exclusive/2014/08/18/gold-mining/ (This article has been simplified so the words, text structure and quotes may have been changed). This page was last edited on 15 September 2014, at 18:52.